It is an old saying that what becomes patent in the New Testament was latent in the Old Testament. And it is important that the continuity of the revelation of God contained in the two Testaments should not be overlooked or obscured. If we find some difficulty in perceiving for ourselves, in the Old Testament, definite points of attachment for the revelation of the Trinity, we cannot help perceiving with great clearness in the New Testament abundant evidence that its writers felt no incongruity whatever between their doctrine of the Trinity and the Old Testament conception of God. The New Testament writers certainly were not conscious of being “setters forth of strange gods.” To their own apprehension they worshipped and proclaimed just the God of Israel; and they laid no less stress than the Old Testament itself upon His unity (Jn. 17:3; 1 Cor. 8:4; 1 Tim. 2:5). They do not, then, place two new gods by the side of Jehovah as alike with Him to be served and worshipped; they conceive Jehovah as Himself at once Father, Son and Spirit. In presenting this one Jehovah as Father, Son and Spirit, they do not even betray any lurking feeling that they are making innovations. Without apparent misgiving they take over Old Testament passages and apply them to Father, Son and Spirit indifferently. 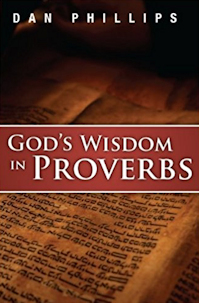 Obviously they understand themselves, and wish to be understood, as setting forth in the Father, Son and Spirit just the one God that the God of the Old Testament revelation is; and they are as far as possible from recognizing any breach between themselves and the Fathers in presenting their enlarged conception of the Divine Being. This may not amount to saying that they saw the doctrine of the Trinity everywhere taught in the Old Testament. It certainly amounts to saying that they saw the Triune God whom they worshipped in the God of the Old p 143 Testament revelation, and felt no incongruity in speaking of their Triune God in the terms of the Old Testament revelation. The God of the Old Testament was their God, and their God was a Trinity, and their sense of the identity of the two was so complete that no question as to it was raised in their minds. The simplicity and assurance with which the New Testament writers speak of God as a Trinity have, however, a further implication. If they betray no sense of novelty in so speaking of Him, this is undoubtedly in part because it was no longer a novelty so to speak of Him. It is clear, in other words, that, as we read the New Testament, we are not witnessing the birth of a new conception of God. What we meet with in its pages is a firmly established conception of God underlying and giving its tone to the whole fabric. It is not in a text here and there that the New Testament bears its testimony to the doctrine of the Trinity. The whole book is Trinitarian to the core; all its teaching is built on the assumption of the Trinity; and its allusions to the Trinity are frequent, cursory, easy and confident. It is with a view to the cursoriness of the allusions to it in the New Testament that it has been remarked that “the doctrine of the Trinity is not so much heard as overheard in the statements of Scripture.” It would be more exact to say that it is not so much inculcated as presupposed. 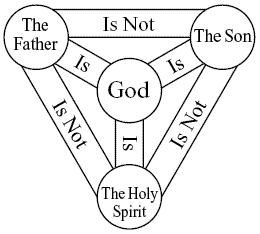 The doctrine of the Trinity does not appear in the New Testament in the making, but as already made. It takes its place in its pages, as Gunkel phrases it, with an air almost of complaint, already “in full completeness” (völlig fertig), leaving no trace of its growth. “There is nothing more wonderful in the history of human thought,” says Sanday, with his eye on the appearance of the doctrine of the Trinity in the New Testament, “than the silent and imperceptible way in which this doctrine, to us so difficult, took its place without struggle—and without controversy—among accepted Christian truths.” The explanation of this remarkable phenomenon is, however, simple. 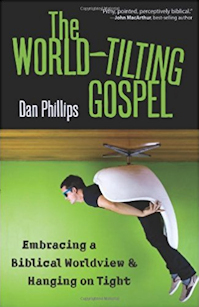 Our New Testament is not a record of the development of the doctrine or of its assimilation. It everywhere presupposes the doctrine as the fixed possession of the Christian community; and p 144 the process by which it became the possession of the Christian community lies behind the New Testament.